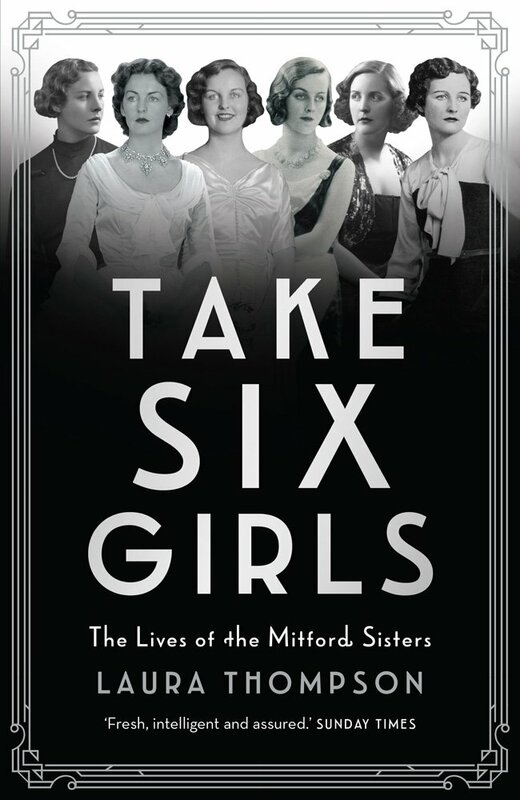 Laura Thompson has previously written a biography of Nancy Mitford, who was the eldest of six sisters and who takes the lead in this family drama. As the author of The Pursuit of Love and propagator of the notion of U and non-U, Nancy was deservedly famous in her lifetime and afterwards. 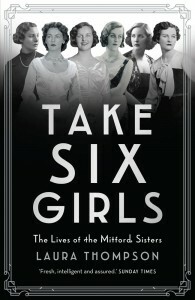 Her five younger sisters each achieved fame, or notoriety, at least for a day, and two have been the subject of biographies – David Pryce-Jones on Unity and Anne de Courcy on Diana – as well as featuring in a group biography of The Mitford Girls by Mary S. Lovell. Unity was the passionate Nazi and Hitler-lover; Diana, also an enthusiastic fascist, married Sir Oswald Mosley; Jessica ran away with her communist boyfriend to America and in later life exposed the greed and sharp practices of undertakers in The American Way of Death. One of the sisters, Pamela, lived in relative obscurity, while the youngest, Deborah, married the future Duke of Devonshire. The author offers a chant in the manner of the wives of Henry VIII. Writer; countrywoman; fascist, Nazi; Communist; Duchess. Laura Thompson has written this book with generosity and delicacy. It is amusing, poignant and perceptive as a portrait of the sisters’ long lives and changing times, and of their own apparent inability to change with them. But it seems to me that, apart from three of Nancy’s novels, the appeal of the group consisting of the six Mitford sisters is time-expired. I suspect that others have made this criticism to Laura Thompson, since she provides a preemptive answer in her introduction. ‘The sisters were significant; still are, as a matter of fact…these girls are a prize exhibit in a Museum of Englishness.’ As oddities, perhaps? For Thompson immediately goes on to insist that what they did was extraordinary. ‘The point about the Mitford sisters is that they were not flirting, they carried their convictions through.’ So Unity attempted suicide when her hero Hitler became her own country’s enemy. The communist Jessica became a muckraking journalist. Diana died at a great age, still beautiful, still writing and still unrepentant. I remember hearing her on Desert Island Discs in 1989, when she spoke warmly of Hitler. If her intention was to disgust the bourgeoisie, she certainly succeeded.